Found some of the best things offered in Lansing and Lansing's Old Town today. We started by taking a tour of the MSU Campus on foot. Julie wanted to show us her dorm and whenever we are in Spartie-Land, we have to stroll through The Beal Botanical Garden - a beautiful oasis in the midst of campus. Ella and Julie loved Urban Outfitters, but my next favorite stop was The Record Lounge a coolio vinyl only store that brought back a lot of memories for me. Picked up a neat Jack White poster and a Clash sticker for my bongos. Then we went to Lansing City Market - what a great place. All new building since Julie and I last visited. Live music, great food, local...local....local stuff. Ice cream, cheeses, baked goods, sandwiches, etc. etc. all in a spanking new location close to the river. Highly recommend this. Roger Clemens gets nailed and Goldman Sachs walks. WHAT? Matt Taibbi wrote about it here. Roger Clemens was prosecuted for lying to the Senate about using steroids while playing baseball. The Senate felt the issue of steroid use in America's pastime was of enough import to warrant it's attention. When emails and other testimony made it clear Clemens fibbed under oath, they went after him for the simple reason that it is against the law to lie to the Senate. Let me say that steroid use in sports is a subject that needs to be addressed and I think anyone who lies to our elected officials ought to be spanked. My point is that Clemens got spanked and the top dogs at Goldman Sachs lied to Senator Carl Levin (D-MI) and his counterparts when they questioned them about the great mortgage heist they helped perpetrate. To date, the crew from Goldman Sachs hasn't even had their hands slapped. Mozel Top: a spining toy, also called a "ladle" that Jewish people traditionally give 13 year olds for Christmas. I am asking the Lord for a Pox on Harold Camping. 1.Harold Camping and The Rapture Crew will be singing "I'm Still Standing" by Elton John at this time tomorrow. 2. His actions will have succeeded in turning more people away from the notion of God and the beliefs of Christianity than any atheist to date; up to and including removing prayer from school, Bill Maher's movie and the efforts of South Park et al. 3. Harold will release an explanation and give us a new date to be afraid of, e.g. a button was stuck on his calculator, the dawg ate his homework, etc. 1. A Biblical plague will visit Harold Camping (I am thinking sore boils or diaper rash) for the fear and division he has sown. DSW - Enough With The Questions Already. I have to admit I was a bit hard on the cashier at DSW yesterday, but I am not apologetic. After the fifth or sixth question, I had had enough. Went to the store with Julie. Found a pair of shoes and some slippers and went to pay for them. DSW: Have you shopped here before? Me: Cliff. KUH-Liff. Cliff - like you might fall off of a cliff. C-L-I-F-F.
DSW: Does your wife shop here? 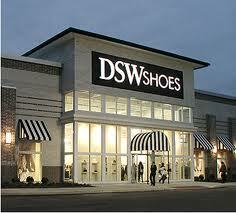 DSW: Your wife, does she shop here? Me: Yeah. In fact she will be buying something here in a minute. DSW: Does she get our coupons in the mail? Me: What? What does this have to do with anything? DSW: What is her first name or initial? My initial excitement about Motor City Denim has faded. When I first heard of Motor City Denim I was very excited. Anyone who knows me, knows that I love to support Michigan made products. At first glance, a company founded by a guy who used to make things for the auto industry is certainly something I should be wild about. I was - until I found out their target audience. It sure isn't me. please click and take a look.